The Crawford Fund and its State programs have been working to encourage young people in their study or careers in international agricultural research (IAR). The Queensland Committee has added to this effort with its new Crawford-in-Queensland Student Awards for both honours and postgraduate students interested in gaining more experience and expertise in IAR. 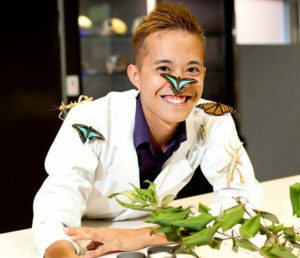 The Committee offered a small number of competitive research funding awards for tertiary students enrolled at a recognised Queensland tertiary institute and engaged in a relevant biophysical or socio-economic aspect of agriculture, animal production, fisheries, forestry, natural resource management or food security. The awards are intended to facilitate active student participation in IAR projects in order to help them gain valuable experience and expertise in IAR. The Committee received a strong field of applicants and is pleased to announce the following six recipients, who are listed with the institution where they are studying, the title of their project and the country they will visit. Conference Scholarships are part of the Fund’s ongoing efforts to encourage young people in their study or careers in IAR. They are offered to young Australian agricultural scientists with a genuine interest in international agricultural development to attend the Crawford Fund Annual Parliamentary Conference. The scholarship covers the cost of registration, travel and accommodation to attend the conference. Individuals, organisations or companies have the opportunity to make a donation to fund additional Conference Scholarships. Supporters will be listed in the conference proceedings, should they wish. Donations are tax deductible and a receipt will be provided for this purpose. For general donations to the Crawford Fund Conference Scholarships, use our on-line facility. On the form, in the comments field, you’ll be able to indicate you are supporting our conference scholarships. The Crawford Fund has Deductible Gift Recipient Status, so your contribution is tax-deductible.